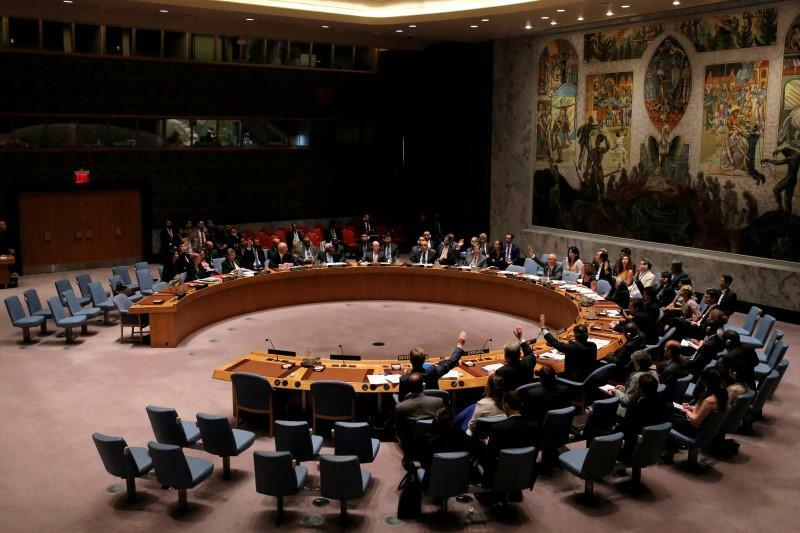 US and Russian draft resolutions compete in UNSC - SABC News - Breaking news, special reports, world, business, sport coverage of all South African current events. Africa's news leader. The UN has also warned that aid deliveries be devoid of any political considerations. Two competing draft resolutions on Venezuela have again pitted the United States (US) and Russia against each other in the United Nations (UN) Security Council. In the first draft, Washington is seeking Council support in expressing deep concern about human rights in the country while calling for the delivery of humanitarian aid to be facilitated in the entire territory of Venezuela. Moscow’s response was to introduce its own draft resolution urging the respect of Venezuela’s sovereignty as enshrined in the UN Charter. The US draft expresses full support for the National Assembly as the only democratically elected institution in Venezuela while expressing deep concern over the disputed Presidential elections last May, calling them neither free no fair. With US aid convoys, including trucks full of food and medicine, being blocked at Venezuela’s border with Colombia, the draft resolution wants restrictions to be lifted. Washington has worked to build an international coalition of support against the incumbency of President Nicolas Maduro with nearly 50 countries, mainly in Europe and in the Americas recognizing opposition leader Juan Guaido as interim President. President Maduro’s government has denied there is a humanitarian crisis, blaming the dire economic situation on sanctions. Given opposition within the Council from Russia, China and South Africa among others, it would appear that the US draft has little chance of success. “The ideal scenario is that humanitarian aid is provided independent, independent of any political or other considerations, than the pure humanitarian and that is based on need and need alone,” says Jens Laerke, Office of Humanitarian Affairs. Herve Verhoosel of the World Food Programme says the number of refugees fleeing Venezuela speaks for itself. “How can we know if people are starving or not? Just stay at the border with Colombia and look who is coming in Colombia, 1.2 million people just last year, 1.2 million people were coming, starving, in Colombia with no money, no food, no medicine. There are no questions, whatever the numbers are, yes of course there’s a crisis in the country. Yes of course people need all the UN system, need the food, need the education, need the medicine,” says Herve Verhoosel of the World Food Programme. Russia’s competing draft urges all member states to fully comply with the UN Charter, lift all unilateral sanctions and calls on all parties to respect the sovereign choice of the Venezuelan people while encouraging the immediate start of an inclusive political dialogue in the country. Both drafts are likely to fail if brought to a vote. One African diplomat indicated they did not believe a Council statement on this matter would contribute to resolving the crisis but would only serve to further divide member states. This entry was posted on 12 Feb 2019,08:10AM at 8:10 AM and is filed under World. You can follow any responses to this entry through the RSS 2.0 feed. Both comments and pings are currently closed.